One hour. That’s all the time it would take a fit hiker to cover the three miles of trails at Johnston Mill Nature Preserve. One hour to experience the culmination of more than 15 years of work. TLC opened Johnston Mill Nature Preserve in spring of 2001. However, the Johnston Mill story begins back in the mid-1980s when Durham and Orange Counties conducted their first inventories of natural areas. The Durham County Inventory was published in 1987, and the Orange County Inventory was published a year later. The inventories identified the most important natural areas in each county, and both showed a lot of important land on New Hope Creek was under development pressure. Through TLC, volunteers asked local governments (Durham and Orange Counties, the Town of Chapel Hill, and the City of Durham) to put up money to develop a conservation plan for the New Hope Creek Corridor. A committee was formed and published the New Hope Corridor Open Space Master Plan in 1991. The local governments adopted the master plan into their land use plans and Durham hired a staff person to coordinate land acquisition. TLC volunteers got to work on it, too, making New Hope Creek a priority area. The planning process created a community vision that got people involved and excited about maintaining their community’s character and environmental integrity, as well as about shaping future growth to fit their goals and values. This led to land negotiations, the New Hope Creek Campaign, the 296-acre land purchase, a year-and-a-half of trail building, and a lucky hiker’s one-hour ramble through some of the prettiest woods in Orange County. Johnston Mill Nature Preserve is, more than any other TLC conservation project, a testament to the power of conservation planning. 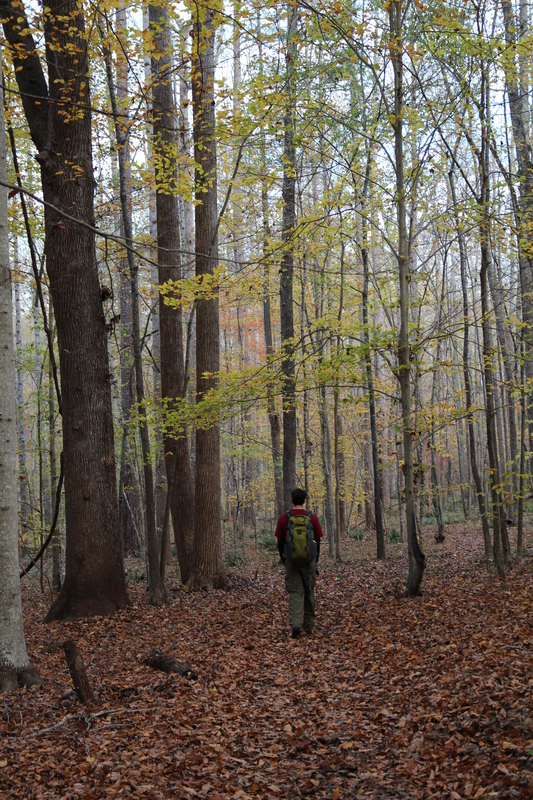 A wilderness of more than 10,000 acres lies along the southwest shore of the Haw River and Jordan Lake in Chatham County. Dotted by the remnants of past settlement, this land is one of the largest, unfragmented areas in the Triangle and drains into Jordan Lake, the second largest drinking water supply for the region. Within the Southwest Shore area, Preston Development Company has assembled almost 6,500 acres and plans to develop the largest mixed-use project in Chatham County’s history. Before planning its development, Preston contacted TLC and the Chatham Conservation Partnership to identify areas that have the highest priority for conservation. TLC assembled a team of experts from government agencies, nonprofit organizations, and interested citizens to conduct the assessment with funding from The Cannon Foundation. Members of the group made 20 site visits to study the area and met as a team over a course of six months to develop geographical and policy recommendations. TLC’s resulting report describes the landscape and provides a detailed list of recommendations to protect the most significant natural areas in the Southwest Shore area. Read the Southwest Shore Report. The Rocky River is 37 miles of beautiful pools and riffles resembling a mountain stream. Its headwaters in Alamance and Randolph counties flow southeast across Chatham County and empty into the Deep River at TLC’s White Pines Nature Preserve. Over 88% of the approximately 150,000-acre watershed is in Chatham County, and the area is home to many well-known tributaries including Bear, Love’s, Tick, Harlands and Landrum creeks. This assessment discusses the key features of the Rocky River Watershed. Looking at location, geology, topography, soil, land cover change, water quality, flora and fauna, and cultural features, it describes the watershed and identifies key features of each of these components. The Rocky River Watershed remains relatively undeveloped with only 2% of its land classified as developed according to the 2001 land cover data, making it is one of the most undeveloped watersheds in the Triangle. Home to several rare and threatened species, such as the Cape Fear shiner and five state-listed mussels, The Nature Conservancy ranked the watershed within the top 15% of those needing protection nationwide to support freshwater species. The watershed is also home to 10 significant natural habitat areas identified by the North Carolina Natural Heritage Program. Read a summary of the report or view the full report. The Upper Neuse Clean Water Initiative is a partnership effort to prioritize and protect those lands most critical for the long-term safety and health of all drinking water supplies for the communities in the Upper Neuse River Basin. Learn more about UNCWI. Triangle GreenPrint is a partnership project to create a regional vision for protected open space in the Triangle. TLC is a lead partner in the project. 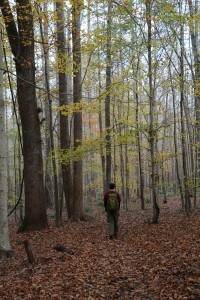 In April 2000, Triangle Land Conservancy released the region’s first-ever State of Open Space (SOS) report, a study that examined land use changes in the Triangle, inventoried protected open space, assessed conservation initiatives by governments and nonprofits, and recommended the region hire more full-time land conservationists and create a regional open space plan. SOS represented the region’s first effort to catalog its protected open space systematically, and Triangle J Council of Governments, a partner in mapping the protected open space for the first SOS, subsequently started an independent project to regularly collect and digitize protected open space data. This will turn into a regional GIS database of protected open space for the Triangle. SOS has proved to be an invaluable tool for researchers, planners, and advocates alike. Statistics from the report have been used by The News and Observer, Brookings Institution, Greater Raleigh Chamber of Commerce, and Environmental Finance Center of University of North Carolina at Chapel Hill. As directed by Congress, every state and territory has developed a statewide wildlife action plan using federal funds from the Wildlife Conservation and Restoration Program and the State Wildlife Grants Program. Developed by the NC Wildlife Resources Commission, North Carolina’s State Wildlife Action Plan (SWAP) outlines management and conservation strategies to conserve wildlife and the diverse habitats they depend on, before they become more rare or endangered. Review the 2005 plan (an updated plan is being completed in 2015). TLC references the NC State Wildlife Action Plan as a resource when developing management strategies and plans for newly protected lands. TLC also uses it as a conservation planning tool for identifying high priority conservation lands. The Snow Hill IV, Martin Property, and the Stone and Grizzle tracts in White Pines Nature Preserve all contain priority habitats and species as identified by the NC SWAP. The Conservation Planning Tool consists of assessments and maps that identify, evaluate, and prioritize important natural resources required to maintain healthy and sustainable ecosystems statewide. This planning tool illustrates the locations and conservation values of significant natural resources throughout North Carolina, and has been applied by local governments, state agencies, regional councils of governments, funding programs, and conservation organizations to support land use, conservation, mitigation and transportation planning and decision-making. TLC uses this tool to discover conservation information about potential projects. Landowners can also use it to see what environmental resources they may have on their own land.